In her two–decade, postpolitical career, Abzug remained a respected and visible figure in the feminist movement. She addressed international women’s conferences in Beijing, Nairobi, and Copenhagen. She also established the Women USA Fund and the Women’s Environment and Development Organization, both nonprofit advocacy groups that worked to give women’s issues more prominence on the United Nations’ agenda. New York Mayor David Dinkins appointed her to chair his Commission on the Status of Women from 1993 to 1995. Her health declined as she battled breast cancer and heart disease. Abzug died in New York City on March 31, 1998. 1Michele Ladsberg, “Bella Abzug Was ‘Alive to Her Fingertips,’” 12 April 1998, Toronto Star: A2. 2Susan Baer, “Founding, Enduring Feminist Bella Abzug is dead at 77,” 1 April 1998, Baltimore Sun: 1A. 3Laura Mansnerus, “Bella Abzug, 77, Congresswoman and a Founding Feminist, Is Dead,” 1 April 1998, New York Times: A1. 4Hope Chamberlin, A Minority of Members: Women in the U.S. Congress (New York: Praeger, 1973): 334. 5Edward L. Lach, Jr., “Abzug, Bella,” http://www.anb.org/articles/07/07–00714.html, American National Biography (ANB) (accessed 19 June 2002). 6Lach, “Abzug, Bella,” ANB online. 7“Election Statistics, 1920 to Present,” http://clerk.house.gov/member_info/electionInfo/index.aspx. 8Almanac of American Politics, 1972 (Washington, D.C.: National Journal, Inc., 1972): 546. 9Karen Foerstel, Biographical Dictionary of Congressional Women (Westport, CT: Greenwood Press, 1999): 19. 10Bella Abzug, Bella! Ms. Abzug Goes to Washington (New York: Saturday Review Press, 1972). 11Foerstel, Biographical Dictionary of Congressional Women: 19; Spencer Rich and Richard L. Lyons, “President Rebuffed by Democrats,” 10 May 1972, Washington Post: A1. 12Chamberlin, A Minority of Members: 334. 13Abzug, Bella! Ms. Abzug Goes to Washington. 15Adam Nagourney, “Recalling Bella Abzug’s Politics and Passion,” New York Times, 3 April 1998: D17. 16Almanac of American Politics, 1974 (Washington, D.C.: National Journal, Inc., 1974): 696–697; see also, “Election Statistics, 1920 to Present,” http://clerk.house.gov/member_info/electionInfo/index.aspx. 18Congressional Record, House, 92nd Cong., 1st sess. (7 December 1971): 45091–45092. 19Congressional Record, House, 94th Cong., 1st sess. (25 March 1975): 8581. 20“Election Statistics, 1920 to Present,” http://clerk.house.gov/member_info/electionInfo/index.aspx. Papers: 1970-1976, ca. 554,100 items Congressional papers consisting of correspondence, memoranda, speeches, reports, photographs, and printed materials relating to her terms in Congress. The collection contains general correspondence and administrative files, as well as extensive subject files on a wide variety of topics with which Bella Abzug was involved while in Congress. Also included are legislative files, being the chronological files of background material for legislation considered on the House floor, and printed versions of legislation by Bella Abzug and others. The casework files document Bella Abzug's advocacy on behalf of constituents involved in civil rights, housing, military, employment and related cases, are closed. Among the major correspondents are Carl Albert, Abraham D. Beame, Hugh L. Carey, Gerald R. Ford, Edward I. Koch, John V. Lindsay, Nelson A. Rockefeller, and Gloria Steinem. Materials added in 1981 include draft transcripts of an oral history, appointment books, speeches and subject files (particularly on privacy and freedom of information). These materials are interfiled in the collection with campaign materials, press releases, and newspaper clippings. Casework files, selected correspondence, and administrative files are closed until January 1, 2005. Selected correspondence and administrative files are also closed. Campaign materials, press releases, and newspaper clippings from the 1981 addition require the donor's permission. A register to the papers is available. Georgia Coordinating Committee on the Observance of International Women's Year records. Papers: 1975-1978, 3 cubic feet. Includes a transcript of a speech and photographs. Papers: 1946-1985, 3 linear feet. Includes political literature and photographs from the campaigns of Bella Abzug. Papers: In the papers of the National Organization for Women (NOW), New York Chapter, 1966-1973, 3.5 linear feet. Correspondents include Bella Abzug. The permission of NOW is required to use the collection. An unpublished guide to the papers is available. Oral Histories: Interviews by film makers, 1976-1981, 259 interviews. Subjects covered in the interviews include Bella Abzug. The use of some of the material requires the permission of the film maker. Papers: Candidates for public office campaign materials, 1966-1976 (inclusive), 0.5 linear foot. 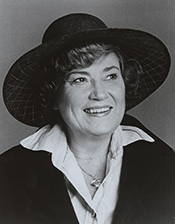 Subjects covered in the materials include Bella Abzug. An unpublished finding aid is available in the library. Photographs: In the photographs of Diana Mara Henry, 1969-1976 (inclusive), 49 folders and 1 oversize folder. Subjects of the photographs include Bella Abzug. Copy prints and permission to publish or exhibit must be obtained from Diana Henry, who retains all rights. An unpublished finding aid is available in the library. Videotapes: Woman alive! Producted by KERA-TV Dallas/Fort Worth and WNET/13 New York, ca. 1974-1977, 1.5 linear feet. Consists of videotapes and program books. Subjects include Bella Abzug. An appointment is required for viewing. An unpublished finding aid is available in the library. Papers: In the papers of the New Democratic Coalition of New York, 1960-1978, 49 cubic feet. Persons represented include Bella Abzug. A finding aid is available in the repository. Papers: In the papers of Woodford McClellan, 1969-1978, 1.8 feet (ca. 1600 items). Correspondents include Bella Abzug. The papers are closed to researchers. A finding aid to the papers is available. Papers: In the records of the GI Civil Defense Committee, 1968-1971, 1.2 cubic feet (3 archival boxes). Includes two letters from Bella Abzug. A register of the records is available. Papers: In the records of the National Peace Action Coalition, 1970-1973, 10 reels of microfilm, 6 tape recordings, and 0.1 cubic foot of unprocessed additions. Correspondents include Bella Abzug. The records are only available on microfilm. A register to the records is available. Abzug, Bella. Bella! Ms. Abzug Goes to Washington. Edited by Mel Ziegler. New York: Saturday Review Press, 1972. ___. et al. Women: Looking Beyond 2000. New York: United Nations, 1995. ___.with Mim Kelber. Gender Gap: Bella Abzug's Guide to Political Power for American Women. Boston: Houghton Mifflin, 1984. ___. Women's Foreign Policy Council Directory: A Guide to Women's Foreign Policy Specialists and Listings of Women and Organizations Working in International Affairs. New York: The Council, 1987. "Bella Savitzky Abzug" in Women in Congress, 1917-2006. Prepared under the direction of the Committee on House Administration by the Office of History & Preservation, U.S. House of Representatives. Washington: Government Printing Office, 2006. Faber, Doris. Bella Abzug. New York: Lothrop, 1976. Levine, Suzanne Marin and Mary Thom, eds. Bella Abzug: How One Tough Broad from the Bronx Fought Jim Crow and Joe McCarthy, Pissed Off Jimmy Carter, Battled for the Rights of Women and Workers, Rallied Against War and for the Planet, And Shook Up Politics Along the Way. New York: Farrar, Strauss, and Giroux, 2007. Ralph Nader Congress Project. Citizens Look at Congress: Bella S. Abzug, Democratic Representative from New York. Washington, D. C.: Grossman Publishers, 1972.